TEHRAN (AA): Reformist leader Hassan Rouhani on Saturday won a second term as Iran’s president, according to unofficial results. 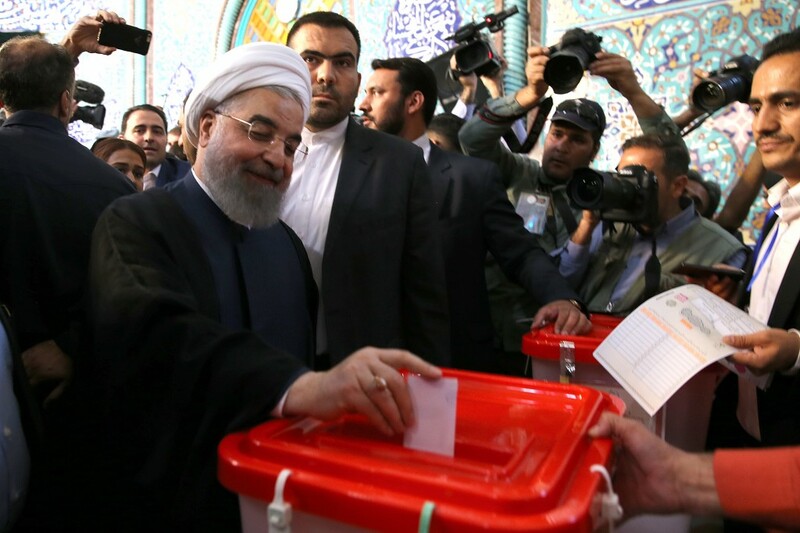 Rouhani grabbed 23,549,616 votes out the total 41,220,131, while his rival Ebrahim Raeisi, a principlist candidate, received 15,786,449 ballots.on votes cast during Friday’s election, the head of election committee, Ali Asghar Ahmadi, announced. “Rouhani has won 58.5 percent of the votes against 39.7 percent for Raisi,” Ahmadi said. Out of over 56 million Iranians who were eligible to vote in the 12th presidential election, over 40 millions took part in the event. The 12th presidential election was held nationwide and in 102 world countries on May 19. The interior minister went on to say that Mostafa Mirsalim and Mostafa Hashemi Tab, two other hopefuls, won 478,215 and 215,450 votes respectively. Iranians headed to the polls Friday to elect a new president and provincial council members.